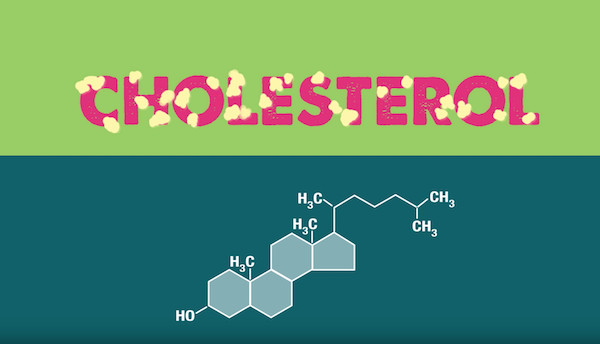 What is Cholesterol and What Does it Do to Your Body? Cholesterol plays a vital role in the body. It is our body’s waxy repair substance and it is found in all cells. Cholesterol is responsible for repairing damaged tissue in the body and is produced in the liver, released into your bloodstream, and directed to the areas of the body that needs repair. There are two types of cholesterol, the Low-density lipoprotein or LDL, and High-density lipoprotein. Low-density lipoprotein or LDL is considered “bad” cholesterol because it can get stuck and pile up on damaged arterial walls, and later become calcified, narrowing blood passages. Although this cholesterol is dubbed “bad”, this type of cholesterol is not entirely bad. Read more about that here. High-density lipoprotein is considered “good” cholesterol because it carries the “bad” cholesterol (LDL) out of the arteries, back to the liver and enhances heart health. Cholesterol isn’t always bad. It becomes harmful when an inflammation in your arteries occurs. These inflammations can cause holes in artery walls. Cholesterol in your bloodstream reacts to the affected area and immediately tries to repair the damage. As it works to heal the artery; bad cholesterol, pile up and thicken arterial walls causing calcification. This build-up narrows blood passages causing pressure to the damaged arterial walls, which can then lead to ruptures. When an artery erupts, blood clots form which can pose a great danger to the body. Clots may cause strokes if they happen in the brain or heart attacks when they obstruct blood flow in the heart. An ideal cholesterol level should have a balance between the good and bad cholesterol with the LDL count lower than HDL. Living a healthy diet with plenty of fiber, fruits, and vegetables accompanied by exercise, can lower and balance out your cholesterol levels as well as taking your doctors prescribed statins.